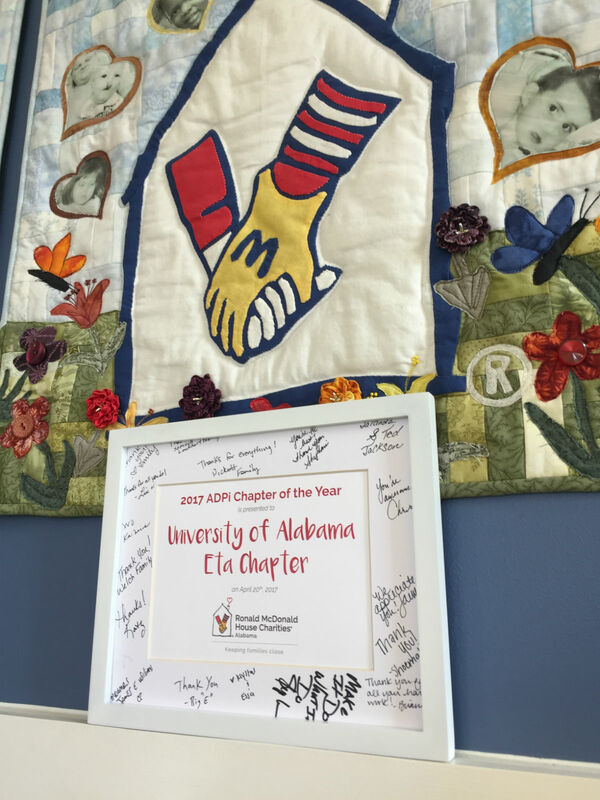 The Alpha Delta Pi sorority’s national philanthropy is Ronald McDonald House Charities. We are so grateful to have several ADPi chapters in our state who focus their philanthropy efforts on our charity in Birmingham! This year’s award goes to the Eta Chapter at the University of Alabama. In 2015, the chapter raised $1,000 for our House and in 2016 raised $17,000 for us! They have been diligent on campus to spread our mission through the planning and executing of several fundraising events. We have hosted several groups from this chapter at the House over the past year volunteering and helping us out with several projects. Philanthropy Chair Abbey Lauterbach says the chapter is thrilled by receiving the award and spoke to us about why supporting RMHCA is so important. “For myself, it’s just so wonderful to give back…to help such a wonderful charity get done what it needs to get done so it can focus on what’s important, which is taking care of the families,” she said. 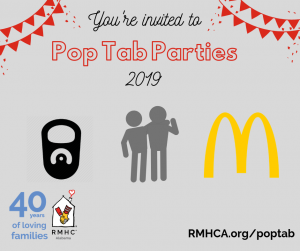 Thank you, ladies, for all you do for RMHCA!